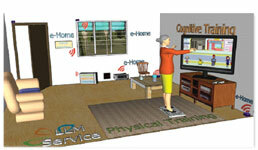 A unified solution for cognitive and physical health for senior citizens. The overall results of the project, deriving from the pilot validation and the scientific and usability evaluation of the LLM solution, and the important feedback from the involved stakeholders of the LLM Network of Interest, has provided to the consortium the confidence that LLM deployment is feasible and the appropriate positive influence to proceed to its business sustainability. Consortium activities and Partners complementarity provided the opportunity to validate the LLM deployment potential in three (3) different perspectives: technological, scientific and business.